The New York Giants’ Victor Cruz is an all-Pro receiver, but following the emergence of rising second-year pro Odell Beckham Jr., Cruz’s greatest value to the team is actually as Beckham’s safety valve. While the Giants are thrilled that Cruz will be catching balls again this season after he missed the majority of last year due to a right knee injury, his presence on the field may be more important than what he does on it. In New York’s week two preseason match-up with the Jacksonville Jaguars, Cruz watched intently from the sidelines as Beckham dealt with a few Jags defenders seemingly eager to lay big hits on him. The receiving duo both told reporters after the game that they believed Jacksonville’s defensive backs were “gunning for” Beckham, causing the former LSU star to pull up short on a few routes to avoid injury. While Beckham said he wasn’t surprised by the Jags DBs’ alleged intentions, he also vowed to not change his style of play. Cruz, who is also known for his touchdown celebrations, will need to play an important role as Beckham’s mentor and peer if he is going to effectively handle his newfound fame. As an overnight sensation who has already graced the cover of Madden, Beckham is going to be dealing with these issues every week, and if Cruz isn’t running routes beside him, it could get ugly. While Cruz has reportedly recovered from his knee injury, a right calf injury has kept him from practicing the past week and could put his goal to play in at least one preseason game in jeopardy. The setback is minor in Cruz’s mind, but Giants head coach Tom Coughlin isn’t being dramatic to say that the injury is concerning to the team’s hope that once he comes back, it’ll be for good. 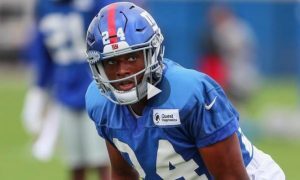 Coughlin hasn’t ruled out the possibility that Cruz will suit up and hit the field for the Giants’ preseason game against the New York Jets this Saturday, but even if he can’t, Cruz says he’s going to be ready for the team’s season opener against the Dallas Cowboys on Sept. 13. 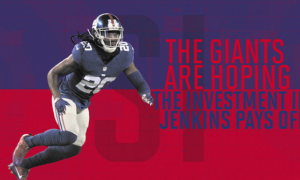 Forget the impact on the Giants’ season — his presence very well could decide the playing future of one of the game’s rising stars.